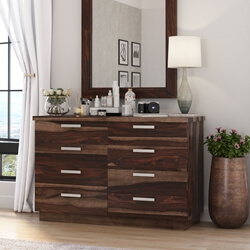 Bring to your bedroom the Modern Simplicity Solid Wood Handcrafted 5 Drawer Dresser, offering plenty of storage space to take care of delicates, accessories, and linen. 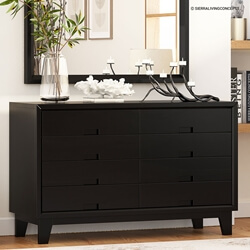 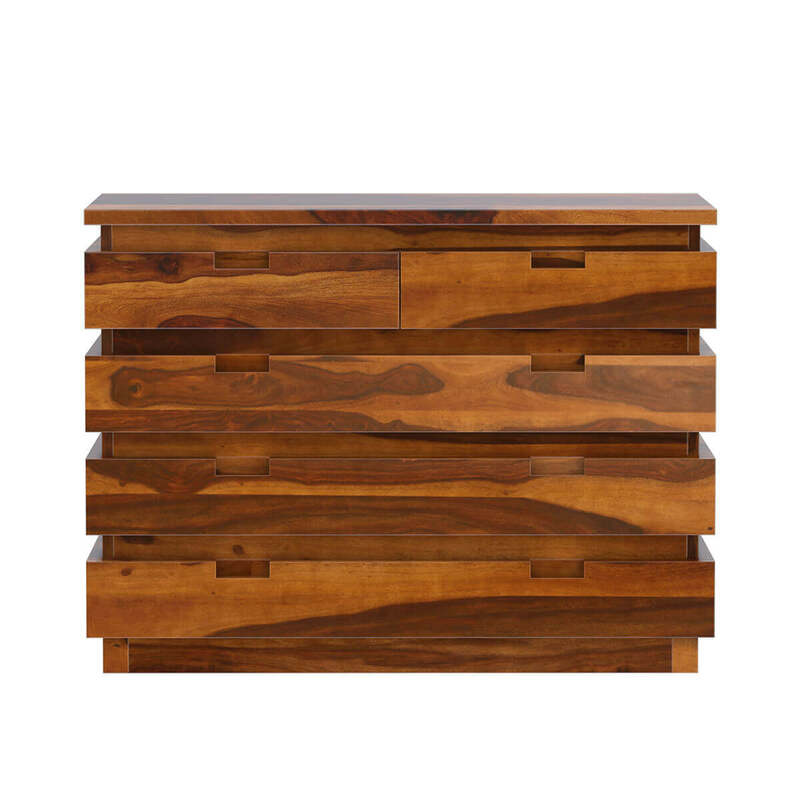 The top of the dresser features two medium sized easy to pull drawers to stow smaller vanity essentials while the bottom deep and large drawers are perfect to store clothing and larger vanity items. 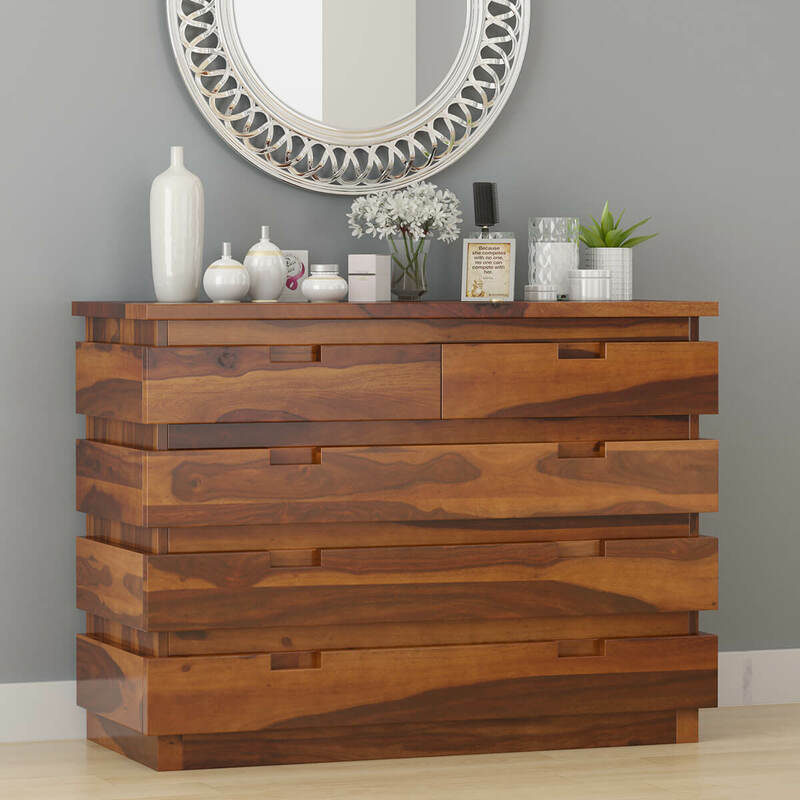 With this dresser, you will be able to set up a chic aesthetic as you mount a stylish mirror above it. 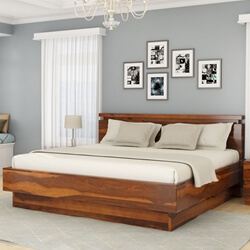 The deep shades of brown in a natural grain pattern elevate the piece’s visual appeal and make it into a lovely addition to the bedroom space. 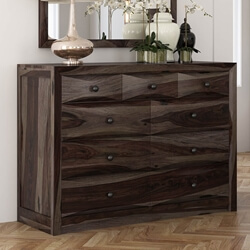 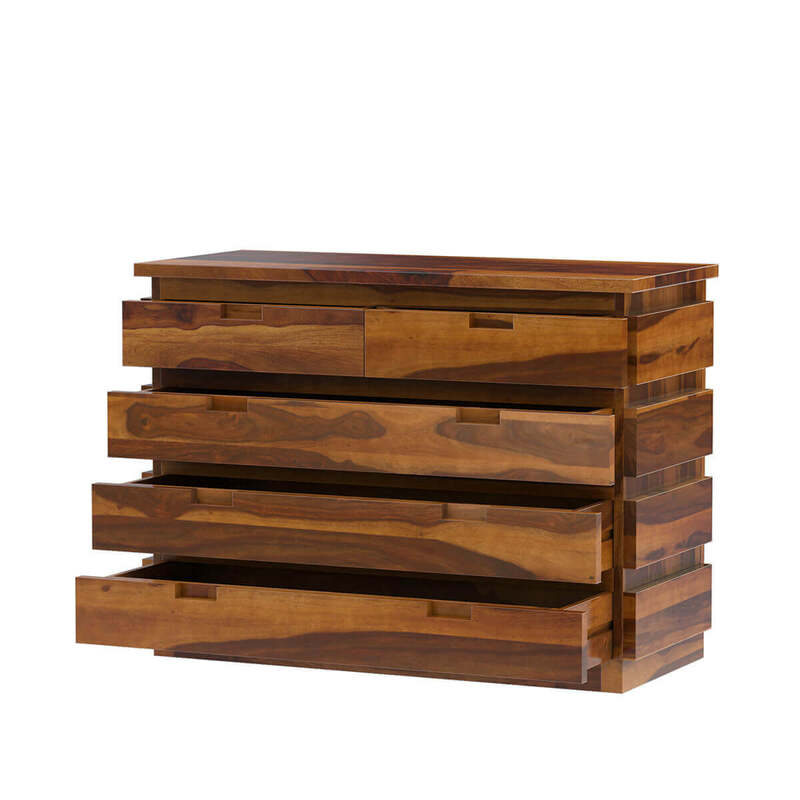 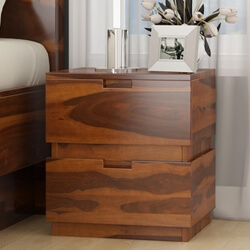 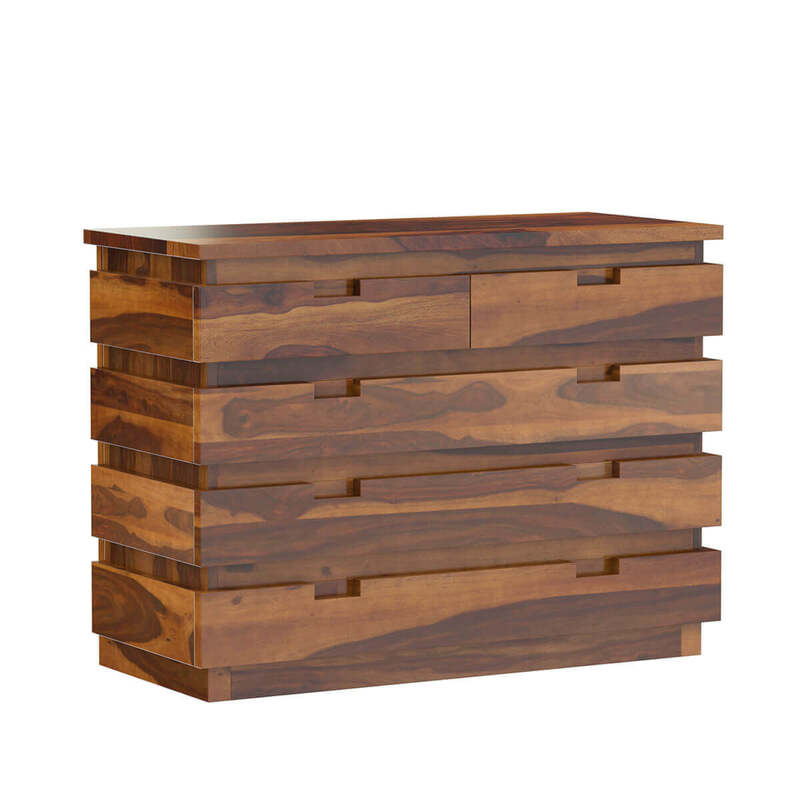 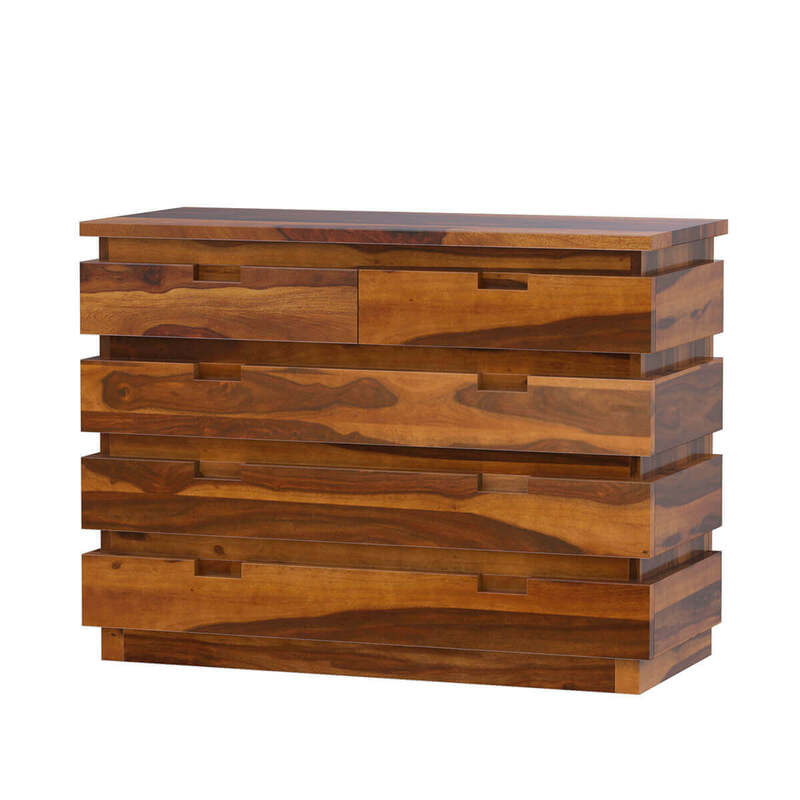 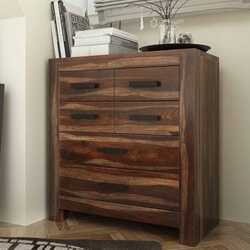 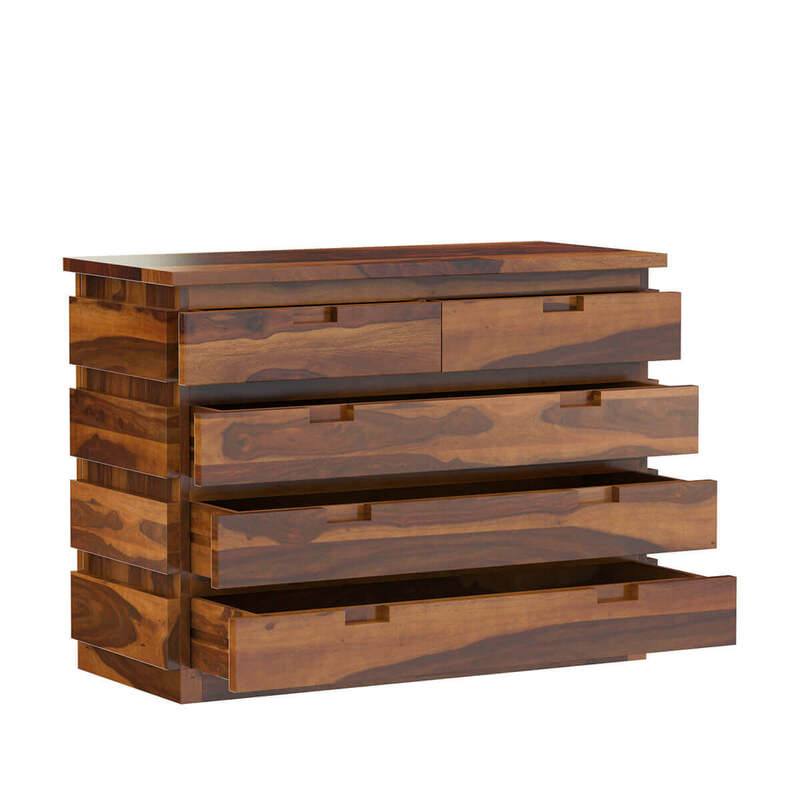 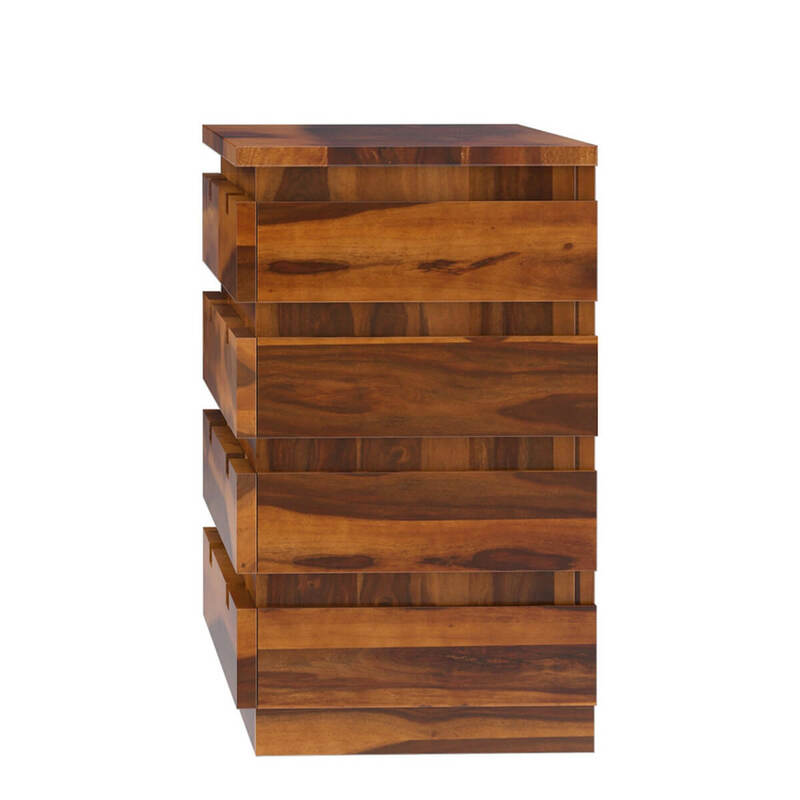 The charming 5 drawer dresser is completely handcrafted from solid Rosewood providing years of durability and elegance.